To be perfectly honest, what I'm really thinking about are dollar signs. I was surprised - of course I shouldn't have been - to notice deliberate product placement in an anime animated cartoon. You don't even need to film or photograph a real product. You can just draw one. Japanese people don't seem to mind overt commercial sponsorship. Many of the professional baseball teams - like the Chunichi Dragons or the Seibu Lions - are known by their sponsor's name, not their city's name. Some commercials using Hollywood stars were so bad that they were not allowed to be shown outside Japan. Today I am going to give my own endorsements. But they are real. Not for the products - the quality of Japanese products is usually excellent. But for really great service. I have a pen that was owned by my first aikido teacher. His wife gave it to me with some personal things of his after he died. I use it every day. It's about thirty years old. It is a ballpoint pen with two colours, black and red, and it also has a mechanical pencil. It's called a Pilot 2+1. Recently the mechanical pencil part (called a sharp pen in Japanese - see my W + aikibunnies blog article) wasn't working so I left it at a stationery store to see if it could be repaired. The store sent the pen off to Pilot. A week or two later I got a call that the pen was ready. I picked it up. The mechanical pencil had been repaired. The pen had been cleaned and polished and looked like new. They had also put in a new eraser. The store clerk said there was no charge. Thank you, Pilot. The next time I buy a pen it will be a Pilot pen. Of course at this rate that might not be for a very long time. I've had similar experiences before in Japan. I have an old Seiko watch. It's a very good watch and it has always kept perfect time. Almost to the second. Then a while ago one of the numerals fell off the face and was moving freely around inside the glass. Seiko repaired the watch face and serviced it and cleaned it free of charge. Not only that they apologized to me for my trouble and told me that it wasn't supposed to happen on a Seiko watch. This is on a twenty year old watch. Thank you, Seiko. One more thing about the Pilot pen. Something about that pen is mysterious. If you look at the red mark and push the button the red ballpoint pen comes out. If you look at the black mark and push the button the black ballpoint pen comes out. And if you look at the pencil mark the mechanical pencil comes out. That's all cool. But how does the pen know which mark I am looking at?! 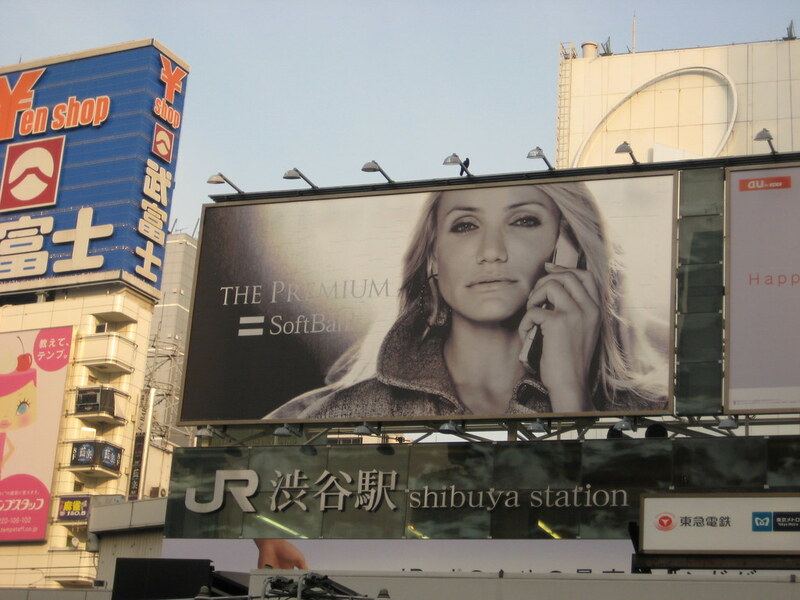 the cameron diaz softbank commercials for japanese tv are also on youtube - some of them are funny. Thanks Daisy. Actually that's reassuring. I thought it was kind of a guy thing! Good luck back on the mat - don't take it too fast until you're ready. As a former English major, a writer, and a lover of all things stationery, I must say that I do like the Pilot pens. I used a purple, soft-grip one through my entire college career. It finally gave up on me when I couldn't twist the halves apart to refill the ink anymore, and it was so cheap I didn't think to send it back to Pilot for repair, but I still keep that broken pen for all its sentimental value--all the essays I wrote with it, all those words strung together on pages to make meaning. Thank's Niall for this nice post, of course your pen knows only by looking at it which colour you like, you have it so many years! just like an uke in that many years, he would know too, only from your look! I think it is what Diana said, but I didn't know the word. My children used pilot too, in spanish you pronounce:"peelot". Oh no, I can hardly believe it. I was going to ask if you were planning to do a blog entry about "Ishin Denshin sometime . Then today I looked for this week's blog entry . How the pen knew ... is that what they mean by Ishin Denshin?